Swisswrap is leading wholesaler and supplier of Chocolates and chocolate boxes. Swisswrap supplies chocolates to corporate clients, personal gifting, celebrations and for festivals. 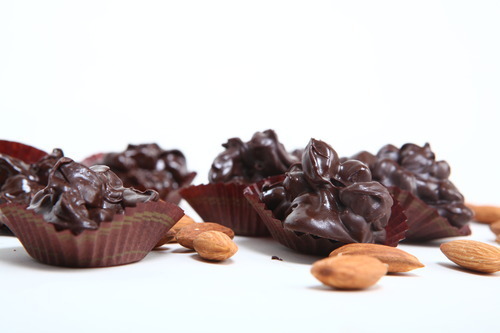 This product is our Almond Rock Chocolate made using roasted Almonds. Swisswrap is leading supplier and manufacturer of chocolates, chocolate boxes, giftshampers, food gifthampers for corporate gifting, personal gifting and fetivals. 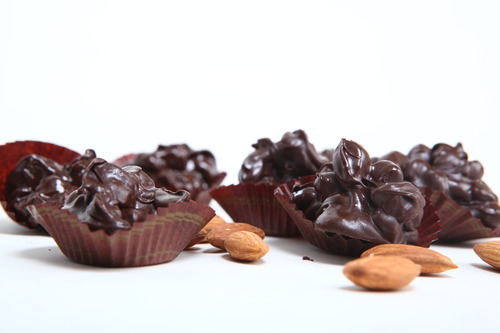 Our vast industry knowledge and technical expertise have enabled us to offer Almond Chocolate Rocks to our valued customers. These are made under rigid quality supervision by rigorous checks at every level of production. We ensure the best raw material ingredients that are procured from reliable vendors and produce these by using modern technologies. Our products are hygienically packed and offered at reasonable prices.